3.1 Why a Kids Backseat Organizer is a Must Have Baby Travel Accessory? 4.1 How Easy are They to Clean? Are you a traveling salesman whose car is a mess because it serves as your office too? 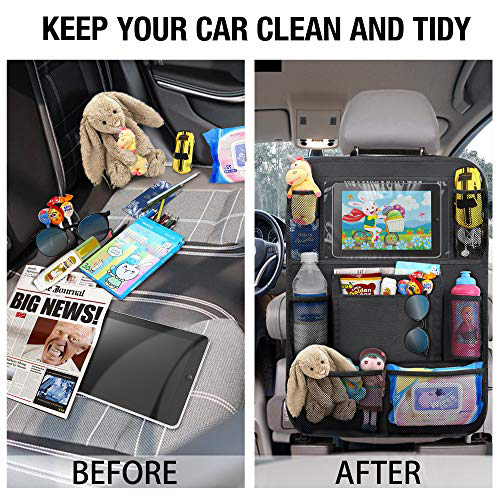 Maybe you are a student or on the go parent who has a problem keeping your car clean and organized. If you are, then you are like many others that look for a way to help them keep their vehicles neater and more organized. Fortunately, there is a solution to the problem. That solution comes in the form of the best backseat organizer. We will tell you more about these handy devices that will help unclutter and car or double cab truck. In this article, we will supply you with lots of information about how useful backseat organizers are. 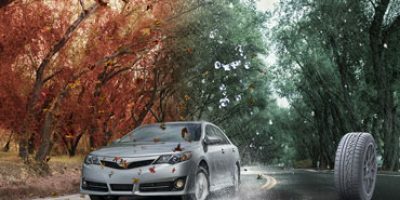 There are probably many things that you did not realize they can help you with inside your car. We will even do several backseat organizer reviews of the best ones in the marketplace. 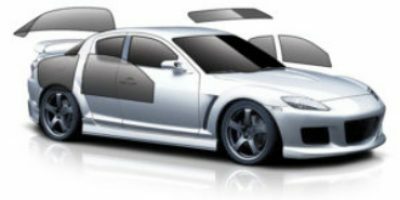 This article really will give you the latest and best information on these handy vehicle organization devices. These are the very best model backseat organizers you will find online or in any store. 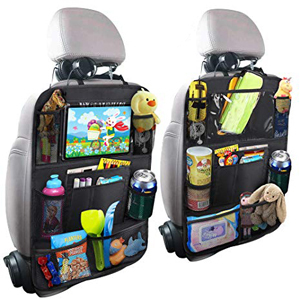 Here is a nicely designed backseat organizer that attaches to the back of the front seats. 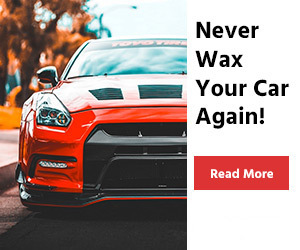 It will really help you keep your car clean and organized. It features extra-long straps that make adjusting it to fit any size vehicle seats very easy. It contains five different size pockets, drink holders and even a clear covered 10” tablet pocket. This twin pack of back seat organizers is made out of very durable and easy to clean 600D polyester. They even can be set up so the included kick mats can protect the back of the front seat bottoms. In the built-in mesh pockets, you can easily set your drinks, water bottles, fold-up umbrellas and more. This is the perfect back seat organizer for those that use their automobile for business. It is made so it sits on the back seat cushions themselves. At 17.5” x 9.5” x 9.5” it offers plenty of storage for files, brochures, pens, and other business related materials. Soccer moms and other users will find it handy for toy storage, small equipment and storing other odds and ends. 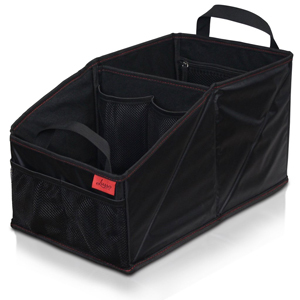 When you are not using it, this car organizer folds up small enough to store under the seat. Lusso Gear uses very strong and washable material to make this backseat organizer. All of the stitching on it is heavy duty. It has 8 compartments and 4 drink holder places built into it. These include 2 very large compartments and one zippered compartment too. This backseat organizing product also comes with a very nice limited lifetime warranty. 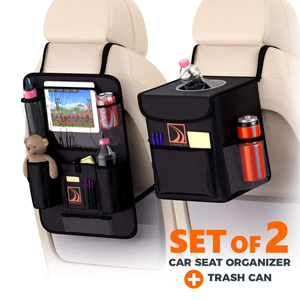 Here is a car back seat organizer that even comes with a trash setup too. That makes it perfect for RV users and others that like to travel for business or pleasure. This will even help keep your car, truck or SUV cleaner and more organized as you drive around town. You simply attach the organizer to the back of one seat and the organizer/trash setup to the back of another. This Confachi organizer has several different size pockets built into it and there are some on the trash setup too. The material on both the backseat organizer and trash setup is heavy duty and stitched together strongly. This backseat organizer combo pack comes with a lifetime money back guarantee too. Here is one of the most versatile back seat organizer’s on our list of the top models. It has big enough pockets to help keep businesspeople organized, yet it also works great for moms, students, and others who wish to keep their vehicles neat and organized. There is a wide variety of pocket options built into it. This includes a clear sided pocket that holds tablets close enough to where children can watch but not touch. The package contains a single backseat pocket organizer. 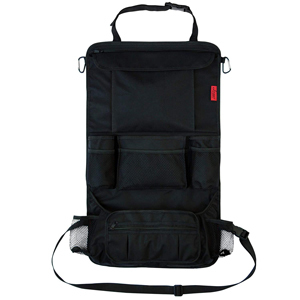 It’s made of tough and waterproof 600D polyester material. This organizer can even double as a cover to protect the back of the front seats. This is one of the larger backseat organizers you will find that attaches to the rear of the front seats. That makes it perfect for those with larger size SUV’s and pickup trucks with rear seating. It’s absolutely loaded with different pocket options. These include drink holders, a clear sided 10” tablet holder, and two large mesh pockets. It’s a backseat organizer that will hold up well too. That’s because it’s made of very sturdy 600D polyester fabric. It’s both tough and easy to clean. This comes in a handy two pack so you will be able to really organize your vehicle better than ever before. This is another quality backseat organizer from Lusso Gear. This is a model that attaches to the back of one of the front seats. It offers some very different storage options than most backseat organizers do. This includes an oversized closeable pocket, an oversized zippered pocket and compartmentalized smaller zippered pocket at the bottom. There is a single organizer package but with the many storage options it has, you won’t need another. It’s also made from sturdy and easy to clean material. The corners are nicely reinforced to give it even more strength. The no questions asked 1-year warranty is nice too. You have to know the size of the backseat organizer you are buying so you will know if it will fit in your particular car. Most freestanding organizers the manufacturer will tell you the dimensions. That is not always the case for backseat organizers that attach to the back of the front seats. The manufacturer may list the size of the vehicle seats they fit instead of the actual product dimensions. You most certainly want your new backseat organizer to last you a long time. That means you want it to be made out of tough materials and have reinforced stitching. Look for it to be made out of such rugged fabrics as 600D polyester for maximum durability and useful life. In fact, 600D Polyester is so strong it’s used on best car bumper guard products too. 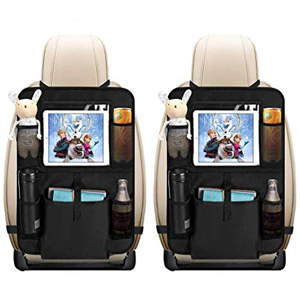 Freestanding back seat organizing products are usually very simple to install. The seat belt on the seat is run through the material on the back of them. On the other hand, models that rest on the back of the front seats attach in all different ways. For the easiest installation possible on these, look for backseat organizers that rest on the back of the front seats to have clips that go around the headrests and bottom of the front seat. Here are some of the more useful pockets that you will find in backseat organizers. Not all of them have every single one. So make sure you choose a backseat organizer that has most of the ones you want. These are handy pockets to have if you are hauling around kids in your vehicle and you want to keep them occupied as you travel. They will usually hold up to a 10” tablet or iPad. The nice thing about them is one side is thin, see-through material that will allow your kids to view the tablet and you to access its touchscreen features. Pockets of this type are mainly used as drink holders but you can find other options for them too. This includes storing such things as emergency flashlights, stuffed animals and folding umbrellas. Large mesh pockets are really just general storage pockets and have no specific purpose in mind. They are nice to have because whatever you put in them will be very easy to find since they are see-through. These pockets are great for storing toys, tissue, snacks, alcohol wipes, diapers and more. These pockets are not found on too many backseat organizers but they can come in handy. This is especially true when storing small items that you do not want anyone who looks in your car to see. Large zippered pockets work well for those that want to use their backseat organizer in their business vehicle. Once again, they keep what you have in your vehicle from prying eyes and keep it well-protected too. Large regular pockets are catch-all pockets. You can put coloring books, pamphlets, road maps, magazines, and other flat, large items in them. These pockets store the same items as large regular pockets but offer an even higher level of protection. They usually have a flap that Velcro’s down to completely cover whatever is placed in them. That makes them perfect for storing file folders, business papers, notebooks, and more. This is a much bigger deal than maybe you realize. That’s because some backseat organizers come in two-packs and others come with just a single unit in the package. So if you are not careful you may order two packages of backseat organizers that contain two organizers in each package and end up with four when you only wanted two. Or if you want two and you don’t realize there is only one in the package you will have to wait for another to arrive after you place an additional order after you realize your mistake. 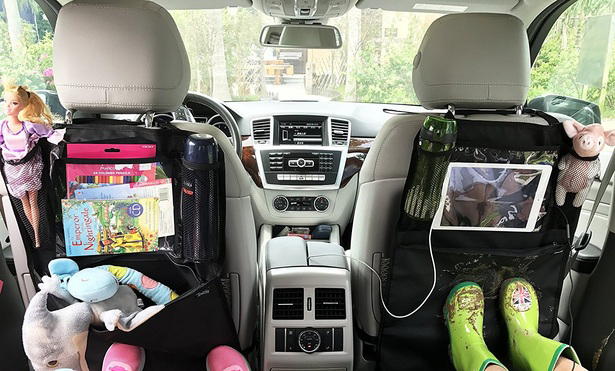 Are you putting your backseat organizer in a car you haul your younger kids around in? Then you better make sure that your new organizer is waterproof and washable. These units tend to last a long time, so you definitely want to be able to wipe them down quickly and easily without damaging them in the process. If you having been shopping for a new backseat organizer you know by now they are not the most expensive products. That’s why we feel they are a great item for anyone to own. With that being said, if you can get a lifetime warranty or 1-year money back guarantee, why not take it? Why a Kids Backseat Organizer is a Must Have Baby Travel Accessory? When you travel with your kids there are a few givens. These are they will get cranky if they are not entertained, they will need snacks, and they will need odds and ends like tissues and wet wipes. All of these items can be easily stored in a back seat organizer. Most have tablet pockets for easy but out of reach viewing, drink holders and places to hold everything from wet wipes to tissues and diapers. These organizers make traveling with kids so much simpler because of the convenience they offer. Most backseat organizers that fit on the back of the front seats are very simple to install. They will have straps with clips or a single strap that fits around the headrest of the front seat. There will be an additional strap with clips that go around the bottom of that same seat too. Car backseat organizers that just sit on top of the seat simply use seat belts to hold them in place. It was mentioned in the buying guide that almost all backseat organizers are made out of tough 600D polyester or similar fabrics. This also has the benefit of making backseat organizing products very easy to clean. This superior fabric tends to be almost waterproof and food, dust, and other debris do not stick to it well. Question: Our car backseat organizers a ‘one size fits all’ item? Answer: We would have to say yes that most of the time this is the case but not always. Most manufacturers will list the actual size of the product on the package or on their website if you are shopping online. Many times they will also tell you if it fits compact, regular, midsize or large vehicles. Most of the attached straps on these devices have much adjustability built into them too. Question: we are thinking about buying a backseat organizer that has a clear pocket for a tablet or iPad. Is the clear side so thick that you can’t use the touchscreen functions on the tablet or iPad? Answer: No that is not the case at all. These pockets are designed with that exact purpose in mind. The clear side will not interfere with the tablet or iPad touchscreen use at all. Really the only thing you have to worry about with these pockets is the iPad or tablet getting very warm with prolonged use. So give them a break every few hours. Question: Do the drink holder pockets help keep the drinks placed cold? Answer: Unfortunately, the answer here is no in most cases. To be quite honest that is done on purpose. In order for the drink holder pockets to keep a beverage cold or hot, they would have to be insulated. That would also trap moisture inside of these pockets and eventually start to hurt the integrity of the pocket material. These products are also designed to be lightweight and foldable in most cases. Adding insulation and thicker materials to keep beverages at temperature would hurt their ability to be folded. When you’re done, read our car cover reviews round-up. If you are one of those people who always have stuff cluttering the seats and floor of your vehicle, then you are definitely ready for a backseat organizer. With the exception of garbage, most everything else that you find on your car’s floors can be put in a backseat organizer. 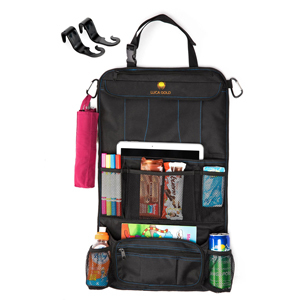 They are built using a large array of pocket types so almost anyone can find an organizer that’s right for them. 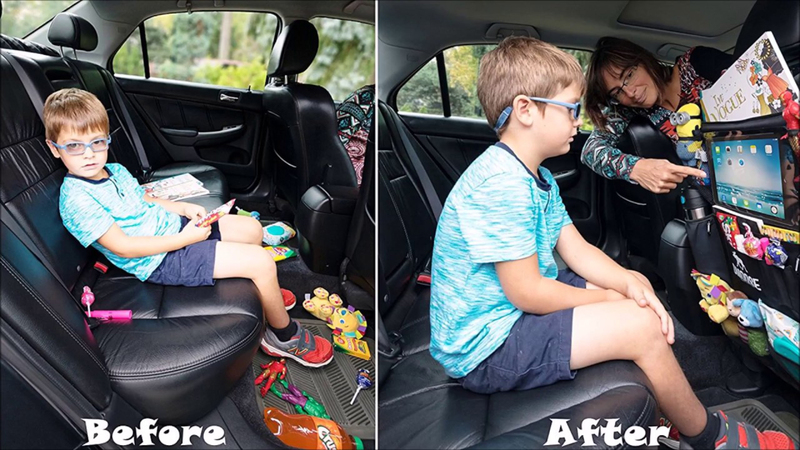 The best backseat organizer is pretty much a must-have item if you are a family with toddlers or younger children. While you were reading our backseat organizer reviews, you may have been amazed at all the different things you can store in them. They really are that good of a product to have in your vehicle. With how easy to install and affordable they are, nobody should be without at least one in their car.